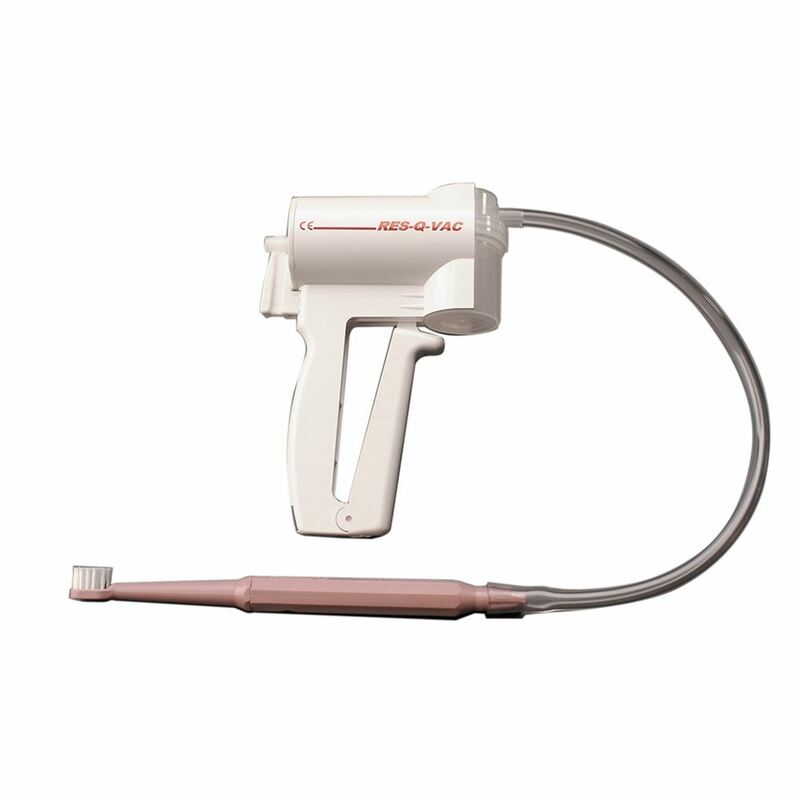 Res-Q-Vac® Suction Toothbrush A reusable single-client oral hygiene toothbrush and suction instrument to help those with swallowing difficulties perform routine oral care. When the hollow handle is connected to suction it removes food build up and mucus as well as plaque, bacteria, and fluid from the mouth during tooth brushing. The bristles are soft so gentle on gums and mouth. The hollow handled brush can be connected to wall or portable suction units. The Res-Q-Vac provides a hand powered suction system that does not require a power source and is completely portable. Replacement canister and tubing for this portable system are available. The brush (for use with hand powered vac) has a plugged port to provide continuous suction. 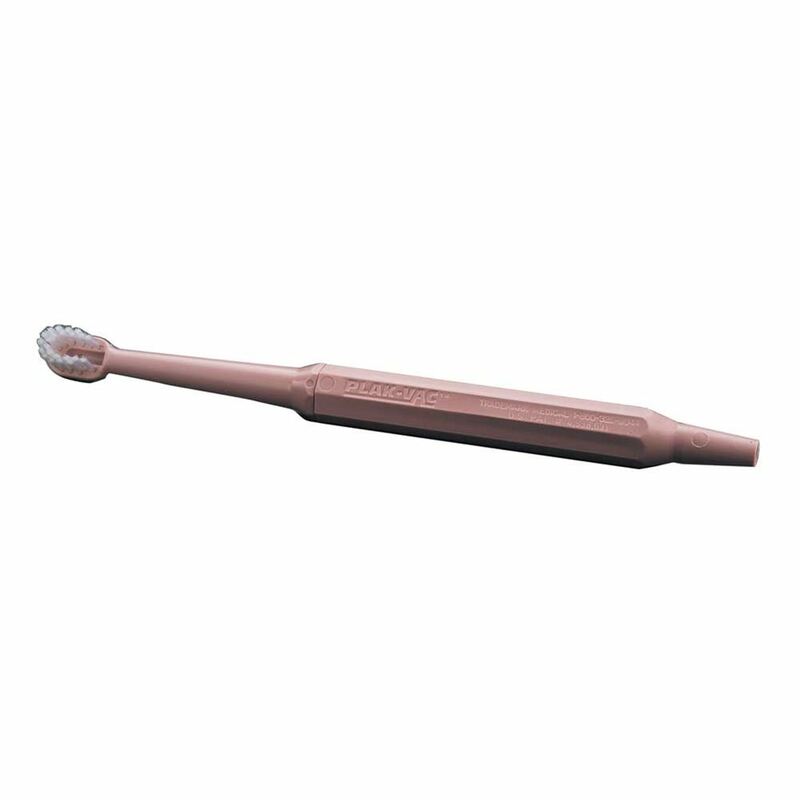 Also available is a brush that has a finger controlled open port to regulate the suction needed by some clients. 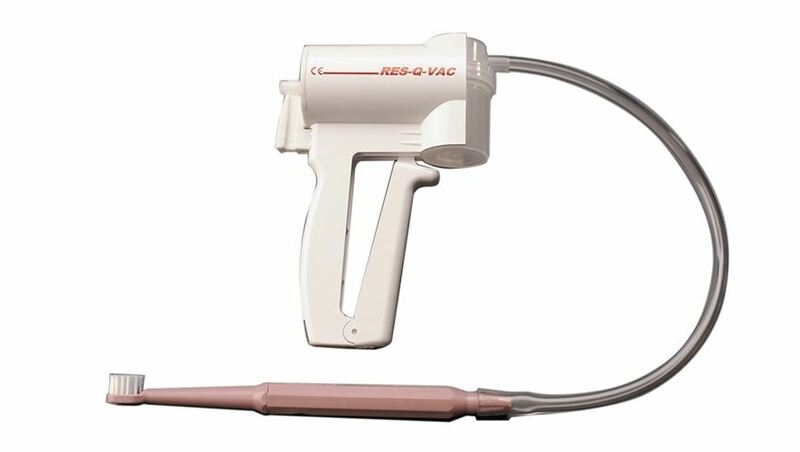 Res-Q-Vac® Combo Kit includes suction toothbrush with plugged port, hand operated pump, 50cc canister (for collection) and tubing. Additional brushes can be purchased separately in packages of 6.